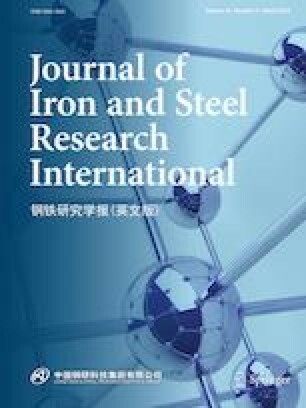 Sintering basic characteristics of fourteen iron ores were comprehensively evaluated using micro-sinter and grey relational analysis methods. The results show that magnetite has a low assimilability, high bonding phase strength, and high crystal strength. Hematite presents a good assimilability, while limonite exhibits a strong assimilability, but the bonding phase strength and crystal strength of these two kinds of iron ores are comparatively low. Great difference in liquid flowability exists for the same kind of iron ores. When the assimilation temperature of the sinter mixture is too high, limonite can be added; when the bonding phase strength or crystal strength of the sinter mixture is too low, magnetite can be added. The liquid fluidity of the sinter mixture can be adjusted according to the ratios of corresponding iron ores. Grey relational analysis is an effective method to evaluate the comprehensive sintering characteristics of iron ores, which can provide theoretical basis for the purchasing department of the steel enterprises.